Loren Cordain, PhD, founder of the Paleo Diet movement, says, "The starting place for optimal human diets Ares [sic] the minimally processed fresh meats, seafood, fish, fresh vegetables, fruits and nuts that were the staple of our ancestral diet." But is this really what ancient humans ate? To discover the human diet from far back in history, we must rely on scientists, anthropologists, archeologists, and other researchers. Dr. Cordain holds a doctorate in Exercise Physiology and is Professor Emeritus of the Department of Health and Exercise Science at Colorado State University in Fort Collins, Colorado. According to his website, Dr. Cordain has researched the "evolutionary and anthropological basis for diet, health and well being in modern humans" and is "the world’s leading expert on Paleolithic diets." He has authored six books on the subject and lectures around the world. Not all experts agree with Dr. Cordain's claims regarding the early diet of humans. Christina Warinner, PhD, also has a list of impressive accomplishments. 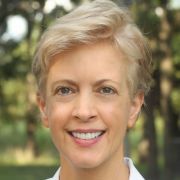 After earning a doctorate in anthropology from Harvard University, Dr. Warinner completed postdoctoral training at the University of Zurich, Switzerland, and at the University of Oklahoma where she currently holds the position of co-director of the Laboratories of Molecular Anthropology and Microbiome Research and is an Assistant Professor of Anthropology. Dr. Warriner's ongoing research centers around the ancient human diet and nutrition. She says, "I am interested in evolutionary medicine and how understanding the ways in which humans have co-evolved with environments, diets, and pathogens allows us to better understand health and disease." Dr. Warinner doesn't agree with the claims of the popular Paleo Diet, although she recognizes that its premise has a natural appeal. "I'm really interested in this idea because it purports to put archeology in action, to take information we know about the past and use it in the present to help us today," observes Dr. Warinner. 1. Today's agricultural diets make us chronically ill because they are out of sync with our biology. 2. We need to abandon modern agricultural diets and eat more like our ancestors over 10,000 years ago. 3. Meat supplemented with vegetables, fruits, nuts, and oils with no grains, legumes, or dairy was the basis of the human diet 10,000 years ago. 4. If we emulate this 10,000-year-old diet, our health will improve, and we will live longer. Unfortunately, she says, this entire concept "has no basis in archaeological reality." In the video below, Dr. Warinner lays out, from an anthropologist's viewpoint, why the basic tenets of the Paleo Diet are false. She then goes on to explain what anthropologists believe was the human diet during the Paleolithic period. While Dr. Warinner does not support the conclusions reached by the proponents of the Paleo Diet, she does believe there are some important lessons we can learn from looking at the human diet during the Paleolithic period. • We need to eat food from diverse species. Dr. Warinner points out that the processed foods characteristic of the modern Western diet primarily feature three species. "If you go and you take a processed food off a grocery store shelf, it doesn't really matter if it's cake batter, mayonnaise, or coffee creamer, increasingly there's only three species in almost everything we eat: corn, soy, and wheat. That's the opposite direction we need to be going," she says. • Fresh foods, free from preservatives, are best. In modern societies, we often rely on preserved foods. Dr. Warinner notes that preservatives "work by inhibiting bacterial growth. But we have to keep in mind that our gastrointestinal systems are also full of bacteria. ... If you're eating foods full of preservatives, how does that affect your microbiome, your good bacteria within you? And the answer is, 'We really don't know.'" • Whole foods are important because they have fiber. Unlike the early diet, the modern diet, says Dr. Warinner, is characterized by low fiber and is associated with obesity and diabetes. "What's unfortunate, also, in the globalized system of processed foods, is that we're losing ... the whole food, and we're eating reconstituted, concentrated foods. ... We can eat so many more calories, so much more food in a very small package without realizing it, and that short circuits our abilities to know when we're full and when we've had enough." For a graphic illustration, she shows that a Paleolithic person would have had to eat 8.5 feet of sugarcane to get the equivalent amount of sugar in a modern, 34 ounce bottle of soda. "There is no way that a Paleolithic person could have eaten that much sugar cane ... and now you can consume that in about 20 minutes." I appreciate Dr. Warinner for lending her expertise to this diet trend which is confusing so many people today. I agree with her conclusions that processed foods are dangerous for our health and that fresh, whole foods are the best way to ensure optimal health, so long as these are whole plant foods. The high meat, low-carb, legume- and grain-free diet advocated by the Paleo Diet often produces initial weight loss and apparent success in the short term, but the risks for cardiovascular and other diseases common to meat eating makes this a less-than-optimal dietary plan. The discussion regarding the ancient human diet and its modern application is an interesting one, but more academic than practical, in my opinion. I question the value of delving into the deep, murky past of 10,000 years ago for dietary advice when we have evidence from much more recent history regarding diet, disease, and longevity. John McDougall, MD, has devoted much of his career to advocating a starch-based diet due to his early medical experience with three generations of immigrants, seeing how a progressively Westernized diet has negative effects on health and vitality. His experience has led him to research societies around the world to discover the dietary secrets of health. He has studied the eating habits of ancient Egyptians based on their mummies and of Roman gladiators based on their remains, as well as examining the evidence we have on traditional civilizations around the world. Dr. McDougall concludes that diets rich in fat and animal products have always produced disease while starch-based diets are responsible for stamina and improved health. While Dr. McDougall's research into more recent history provides much fascinating and useful information, there is even more compelling evidence available to us. Dan Buettner has identified what he has dubbed 'Blue Zones,' modern populations with a large number of centenarians. These societies, which hold to their traditional diets, produce seniors who live healthy, productive, fulfilling lives well into their eighties and nineties. Buettner has found that diets high in whole plant foods, particularly beans, are a common factor between the various zones. Ultimately, Dr. Warinner's conclusions based on her expertise in anthropology and nutrition provide supporting evidence for what we find by examining contemporary evidence for food-based health. A whole-food diet that features adequate calories from vegetables, legumes, fruit, and whole grains, with some nuts and seeds, has consistently produced health, vitality, and strength no matter where we live or what time period we live in. (1) T. Colin Campbell, PhD - The Paleo Diet: What's the Story?